World Tourism: Are Go Karts Safe? Go karts are fast, exciting and easy to handle, and there are tracks all over the country catering to every age range from kids to teens to adults. Gokarts are generally easy to drive, easy to control and are how you can experience the excitement of Formula One racing without as much of the danger. 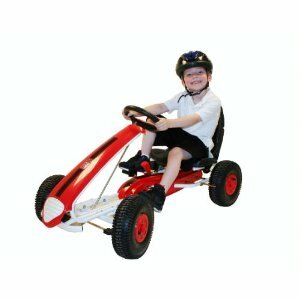 Go-karts are just beginning to come into their own and are geared toward beginners in either off road or paved track go kart racing. They are built to withstand years of use and abuse and are terrific when it comes to performance, styling and low maintenance. There are many types of vehicles that are built for fun. These include ATVs, dirt bikes, scooters, mopeds, mini bikes and go karts. If you are looking to find some excitement with 4 wheels then you have to discard the dirt bike, scooter, moped and mini bike. And the all terrain vehicles are typically made for traveling off road. That leaves the go kart. If you want to go racing like the big boys, with a mighty gasoline powered engine and relative safety, go karts are what you will want to be racing. Whether you just want some cheap racing fun or would like to someday become a professional race car driver, the go-kart is a great way to begin. Many NASCAR drivers today got their start by racing go karts when they were as young as five years old. Carts have been around for a lot of years, but have increased in popularity only recently. Back in the olden days, carts were only available at the neighborhood Family Fun Center or Amusement Park. And these gokarts only had two speeds, slow and slower. But were they safe? Let’s just say it wasn’t easy to get hurt traveling at just 5 mph. But even at the slower speeds they were still loads of fun. Imagine the thrill you can experience now with the faster speeds and the bigger and better track selections. Great go-cart tracks have been sprouting up all over. But have the increased karting speeds made the go carts unsafe? They used to be so terribly slow that no helmets were even required. But with the speeds attained today helmets are required at tracks everywhere, even the kiddie’s tracks. But don’t let that scare you, they are still extremely safe and there is never any need to go faster than your own comfort dictates. You can control, for the most part, the amount of danger you experience in a go kart. Your decisions, from the go kart you buy, to the safety equipment you use, to your level of caution expressed on the track, determine how safe you will be. The faster you go the more chance of sustaining a substantial injury. So taking every safety precaution is always a smart idea. Carting is generally very safe if you follow a few simple rules. The number one rule is “always wear a helmet.” In the event of a crash it can spare you from a serious head injury. Also, never forget to fasten your safety harness. This will prevent you from being tossed out during a roll. Never race at speeds that you don’t feel comfortable with. If speed is not your thing you should remain in the lesser levels of racing groups. If you decide to race, even in a kid’s competition, you should be wearing a fire safety suit, racing shoes and protective gloves. The shoes and gloves should also be fire retardant. There is not much gas in a gocart, but if it should happen to catch on fire the fire-safe equipment you use could save you a lot of pain and discomfort. Gocarts today all have roll bars that rise above the driver’s head. In the event that you lose control, causing your go kart to flip over, the roll bars and safety harness can keep you from harm’s way. You may think that it could not happen to you because you are such a great driver, but the other racers on the track may not be so great. This is the reason why a gokart has side bars that will protect you in the event that another racer loses control and rams your kart. With all of these precautions how can anyone get injured? It’s possible, but the chances of experiencing a serious injury are severely limited by simply following a few safety rules. 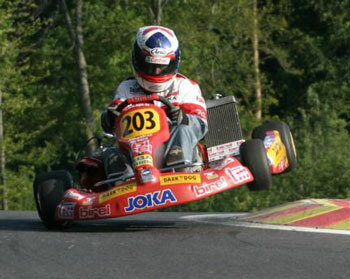 Go karts are just about as safe as you want to make them.